If you’re looking for a toaster oven to bake your pastries or toast your bread, then we’ve got you covered. We’ve rounded up and reviewed the best toaster ovens for 2017 and we’re so excited to share our reviews. What we wanted to achieve was to help pick out the most value for your money and to find the toaster oven that has the most features which can really help you with your cooking needs. Before diving into the list though, let’s go through the details. A toaster oven is a small appliance that cooks your food from the outside by surrounding it with heat and hot air. This is a mini version of your large oven. This method cooks the food from the outside making it perfect for toast, crispy bread, pizza or pastry. This method is perfect for causing chemical reactions such as drying the surface of foods and caramelizing the surface sugar thus causing the browning you would usually see on your toast. In comparison, the more conventional microwave ovens cooks the food from the inside using radio waves to heat the molecules inside your food. On the other hand, convection ovens uses a fan and exhaust system to blow and surround the food with hot air. What Food is Best Cooked in Toaster Ovens? To find the best toaster oven, we have to look for the best quality of cooking whether it’s for baking, toasting or roasting. We wanted to focus on looking for the best toaster oven that can give us that delicious even cooking and roasting. Some toasters might not be evenly distributed and some might not be as powerful as the others. We wanted to focus on getting good quality toasts for breads, pastries, vegetables, wheats and meat. Of course, the quality of toast may vary depending on how long you’r cooking or what function you’re using but we want to find the best one overall. We wanted to find the best toaster oven that simply looks gorgeous. All of our selections have a beautiful stainless steel finish which would look great in your kitchen. The designs are very modern and stylish. Most of them are silver chrome with some having a black chrome finish. Most of all, even if the toaster oven is affordable, they should still look expensive and not cheap. We wanted to look for the best and durable toaster oven that can last you for years. The cheaper ones might not be as durable as the others but there are affordable toaster ovens that are still good quality materials and can be durable. What we tried to focus on are good toaster ovens that are both powerful but also safe. Another thing we looked into is warranty. Most, if not all, do offer a 1 year manufacturer’s warranty which can at least give you some peace of mind. Overall, we wanted to make sure that the best product that we recommend has the most value for money. We did not just choose the most expensive toaster oven in the market and definitely did not just go for the cheapest one. We wanted to look for the most affordable toaster oven we could find that looks stylish, is made of very durable and high quality materials and has great cooking and toasting capabilities. In the end, we want to find the product with the most value for it’s price. Our Pick for the Overall Best Toaster Oven! 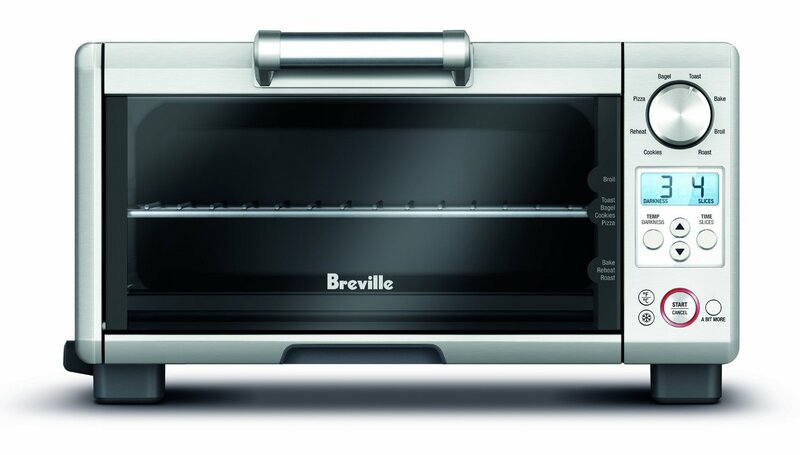 This Breville toaster oven is the best one with a good mid size 4 slice capacity 0.45 cubic feet interior that comes with 3 rack positions, you can cook, toast and roast most food with this size. The interior has non-stick cavity coating and very durable framing. This unit comes with 8 pre-set cooking functions that make it easy to toast food very quickly. The outside of the oven does tend to get really hot so you have to be careful not to put the toaster oven under a wooden cabinet. But overall, for the price that you’re paying, the cooking and heating quality, durability and design, this Breville toaster oven is the best one you can get. 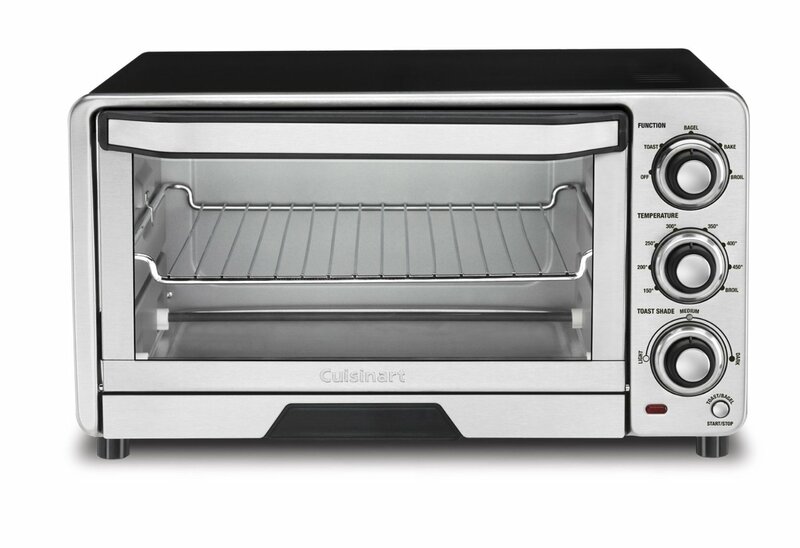 This is a slightly bigger toaster oven from Cuisinart that has a 6 slice 0.6 cubic feet capacity. It has electronic touchpad controls with an easy to clean interior. The toasting and roasting is pretty consistent and even over the life of the unit. Aesthetically, this toaster looks gorgeous with it’s stainless steel chrome finish. It has a very professional and sophisticated style which you can be happy about. It has a large interior and can fit most foods. The digital LCD display is a nice touch and control pad is labeled well. This extra large capacity toaster oven is perfect for those looking for more room which can hold a 13” x 9” pan, 12” pizza, whole chicken and roasted ham. The temperature range is about 150-450° and is great for high heat broiling of meats and toasting pastries. The design looks very stylish with a black exterior and stainless steel silver finish in the front. This unit also has a very modern and sleek look as with the digital LCD and digital control panel. It has built in one touch controls and cooking functions including bake, broil, toast, pizza, defrost and warm. This is a good value for the price. 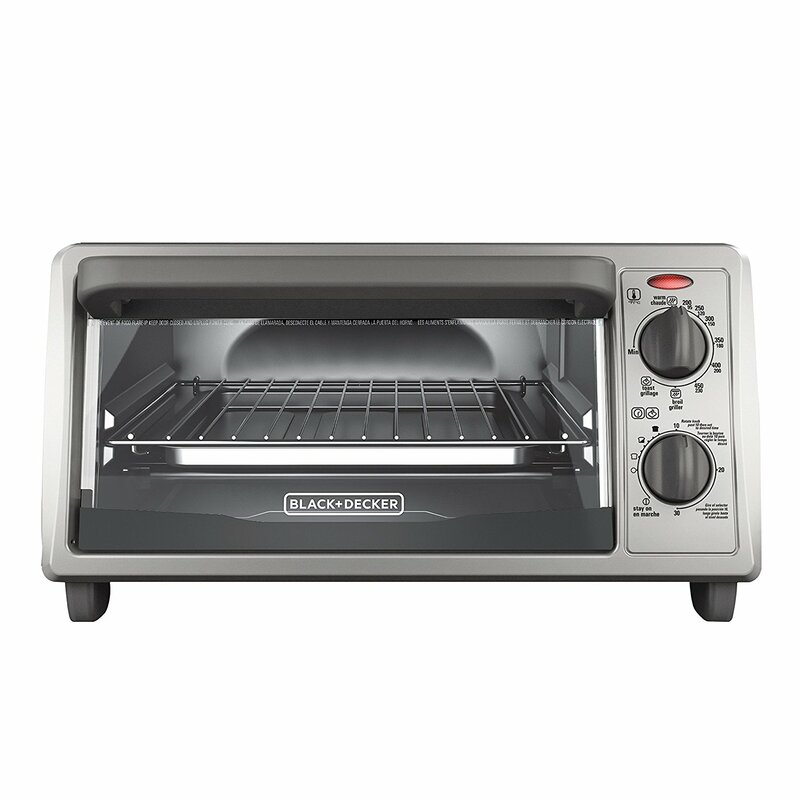 This is a slightly smaller countertop toaster oven from Black and Decker which houses a 4 slice capacity and can fit a 9” pizza. The toasting feature is very good and the bread comes out nice and evenly toasted. This toaster doesn’t come with as much cooking features as the other toaster ovens in this list but it does come with 4 acceptable functions including baking, broiling, toasting and keeping food warm. 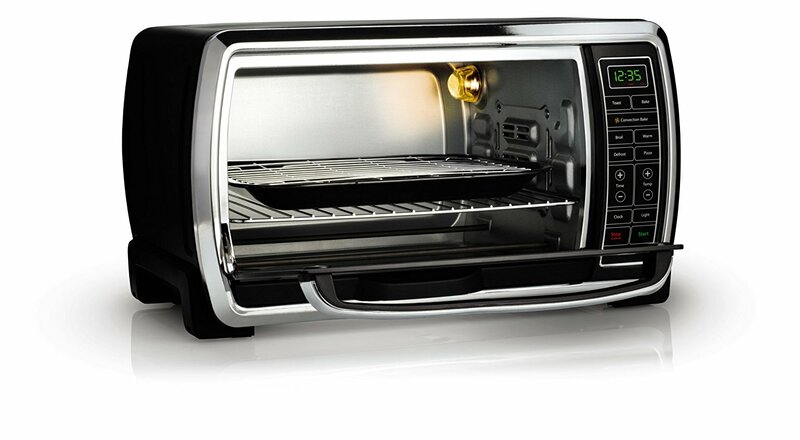 The toaster oven itself has a nice stainless steel sleek design and it’s a good value considering the affordable price. 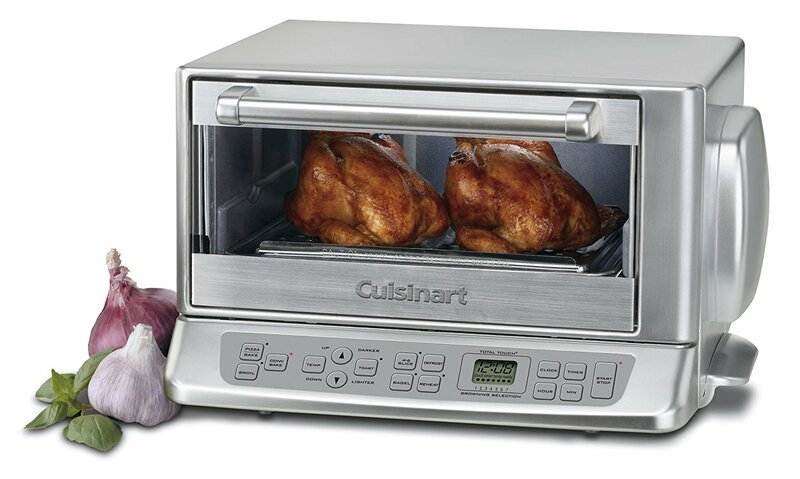 This full size toaster oven broiler from Cuisinart is perfect for those looking for a smaller frame with a larger interior toaster. 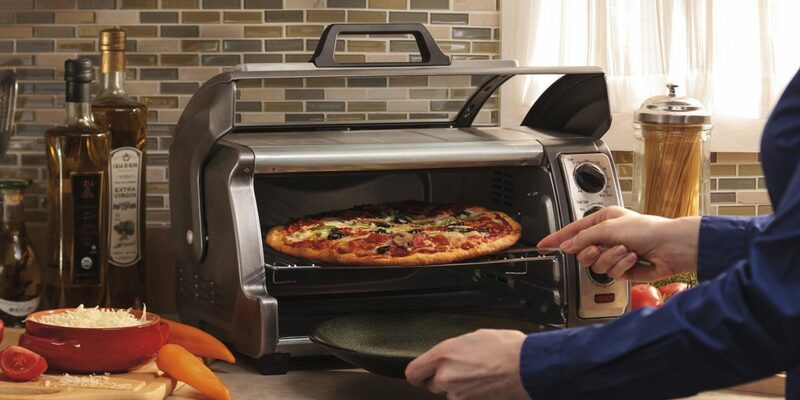 It uses 1800 Watts to toast and can accommodate 6 slices of toast and holds a 11” pizza. The food cooks and toasts well and has a nice easy clean non-stick interior. This toaster has a nice modern and sleek design with a stainless steel chrome finish that would look great in any kitchen. The front also houses a nice rubberized easy grip dial so it’s very comfortable to use. This is a good value toaster for the price. 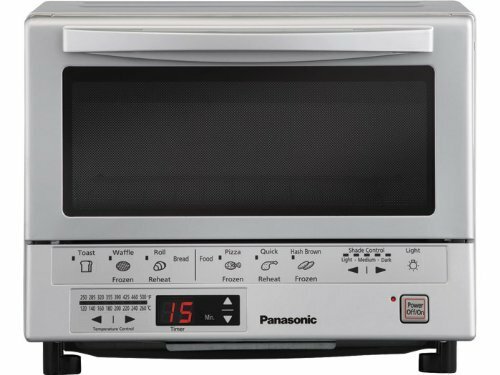 Panasonic has been one of the leading brands for appliances and that includes toaster ovens. This toaster oven has great cooking capabilities and is very energy efficient with a 1300 Watt usage. It has six preprogramed features including Toast, Waffle, Roll, Pizza, Quick Reheat, Frozen Hash-brown. This toaster oven also features a double infrared heating and it does tend to cook the food a bit faster than conventional toaster ovens. The design is not as stylish as the other toaster ovens in this list but it still looks great for more traditional kitchens. 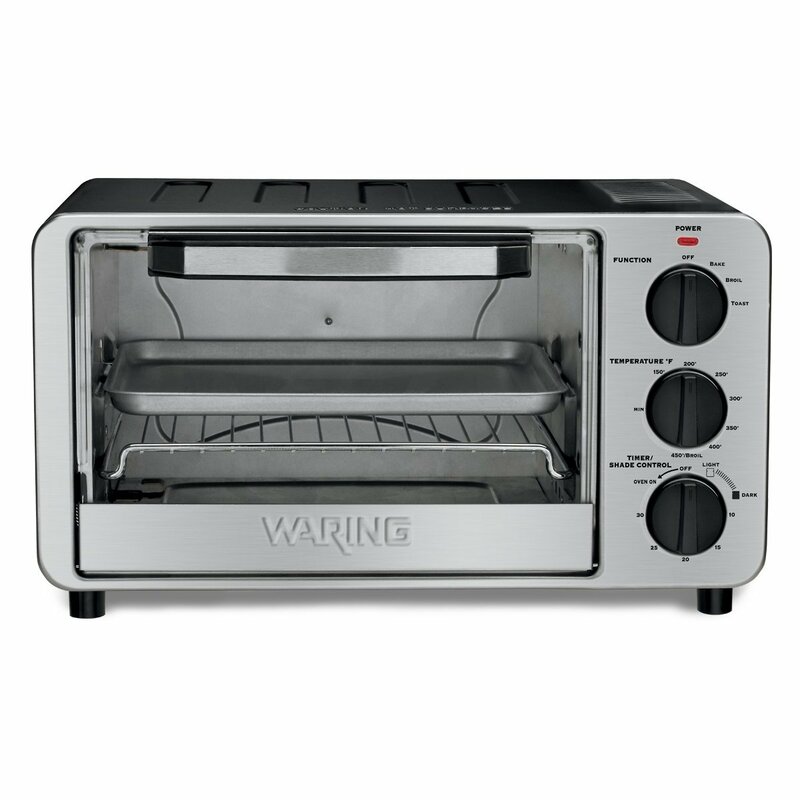 This Waring Pro toaster oven is a little bit smaller than the other options here with a 4 slice, 0.45 cubic feet capacity. It has 1500 Watts of power and reach a peak of 450F temperature. The food comes out really evenly toasted and very crispy. This toaster oven is great for baking as it’s true to temperature and holds the heat inside well. Performs as expected and the dials were easy to use. The exterior is also very stylish with a stainless steel finish. The unit does not get super hot that you would tend to be afraid to touch it. With it’s small footprint and price, it is a very good toaster oven for everyday use.